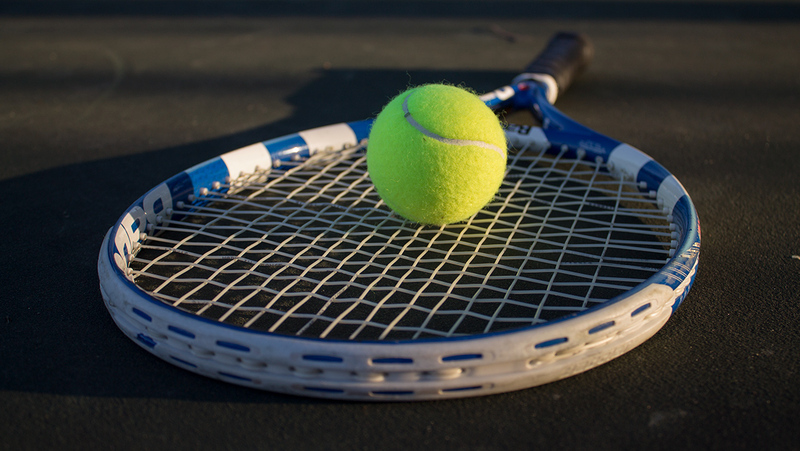 The Ithaca College men’s tennis team swept Bard College 9–0 April 21. With the win, the Bombers are now 5–3 in the Liberty League Conference. In all three doubles matches of the day, the Blue and Gold came out victorious. Senior Lorenzo Viguie-Ramos and junior Sam McGrath defeated Bard senior Nicholas George and sophomore Immanuel Zion 8–0. In the third match, sophomore Liam Spegal and junior Garrett Boleslav came out on top against Bard junior Zayd Normand and freshman Elias Ryu 8–1. In the last doubles match of the day, Bombers sophomores Minos Stavrakas and Colten Lavery won against junior Satchel Fisher and freshman Aiden Velasco 8–2. During the singles matches, the Blue and Gold made their presence felt on the court by winning all six matches. Freshman George Lamos came out on top against Ryu 6–0, 6–0, while Vigue-Ramos followed the performance with a 6–0, 6–0 win over Normand. Sophomore Max Prestwich continued the shutout performance for the Bombers when he defeated George 6–0, 6–0. The final match in which Bard did not clinch a game was when McGrath took 6–0, 6–0 wins over Velasco. The wins kept coming as sophomore Sam Fried defeated Zion 6–1, 6–1. Stavrakas had the closest match of the day, but came out with a victory after posting 6–2, 6–4 wins over Fisher. The South Hill squad is back in action at 4:30 p.m. April 24 against Hamilton College at Wheeler Tennis Courts.